How Do You Manage Multiple Offer Situations? 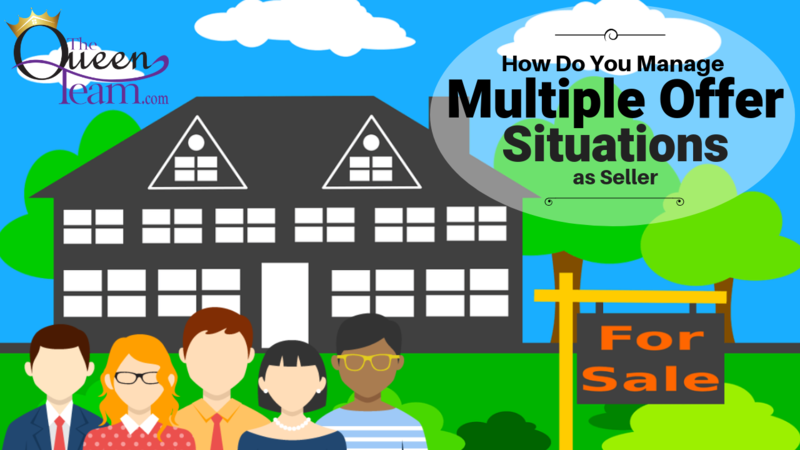 How do you juggle multiple offer situations as a seller? Before accepting an offer, there are a few factors to pay attention to. Is the highest offer always the best? The first factor is, of course, the price, but it’s not the only one. What are the other concessions the buyer is asking for? They may include closing costs, home warranties, preferred dates, and more. Next, ask about earnest money. How much are they offering? This shows how serious (or not) they are about moving forward with your home. What about their option period and how much are they willing to put down for it? Additionally, take into consideration the buyer’s agent, on the other side of the transaction. They’re going to help your agent get to the closing table! What should I consider when accepting an offer? When considering different offers, I always recommend researching ahead of time. That way, when the offer is right in front of you, you’ll already have all the information. You can then make an educated decision. As for cash offers, it’s ultimately a personal decision. It has to do with timelines. A cash offer will close quickly, but they might ask for a better deal since they’re not financing. Conversely, a finance offer will require at least 30 days, but it’s likely they’ll match your listing price, or even offer more. How can a qualified professional help? A tailored professional will help you sort through the details of the offers. They have tools and resources you otherwise wouldn’t have. It’s always great to utilize an agent to explain this complex term into simpler words.